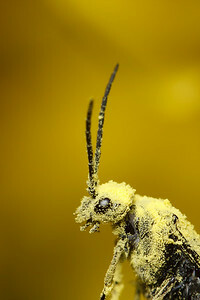 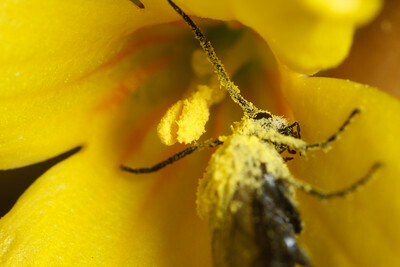 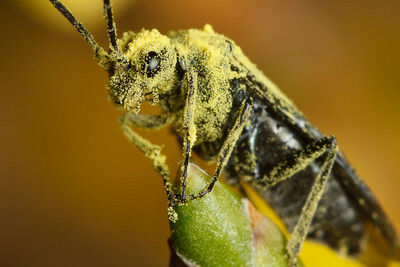 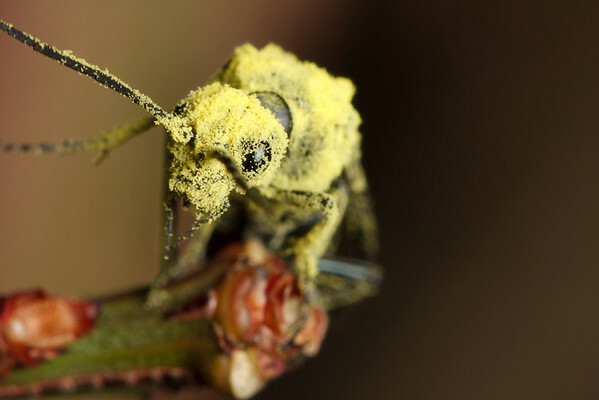 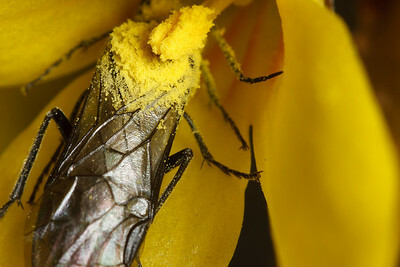 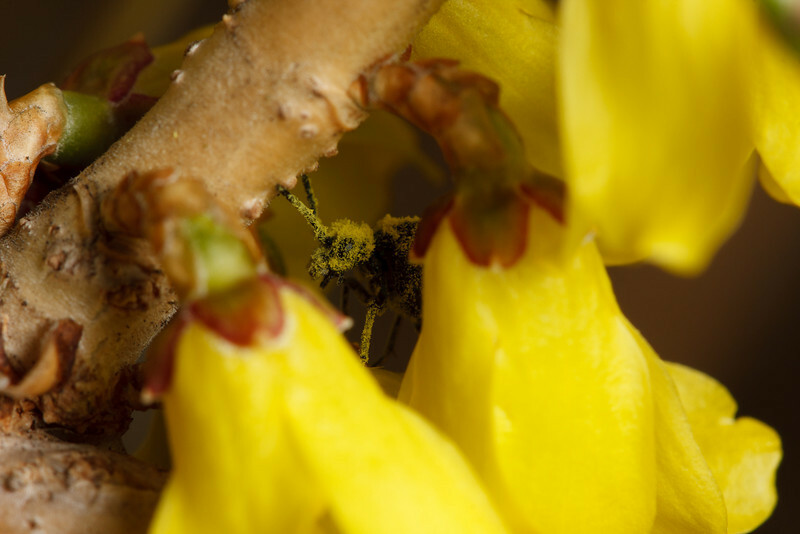 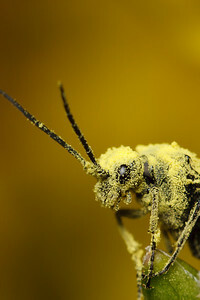 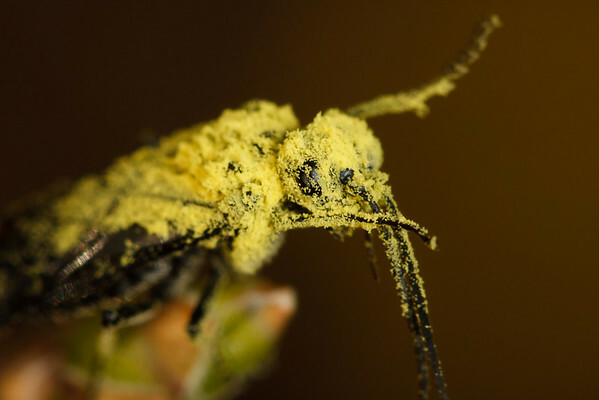 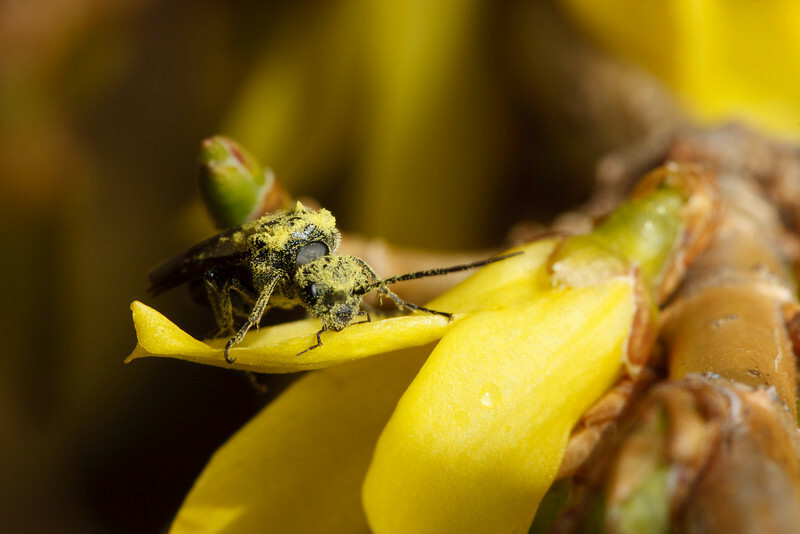 A black sawfly (Dolerus), covered in forsythia pollen after drinking nectar from several flowers. 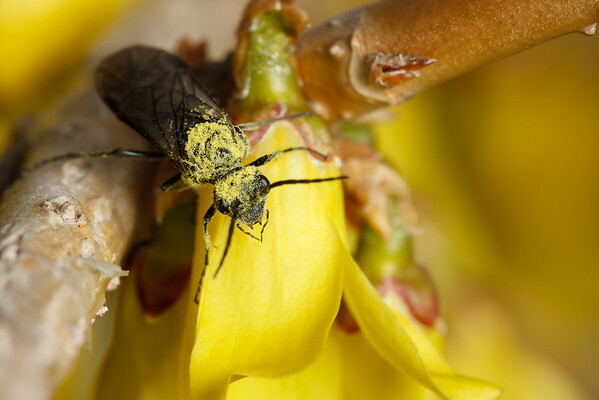 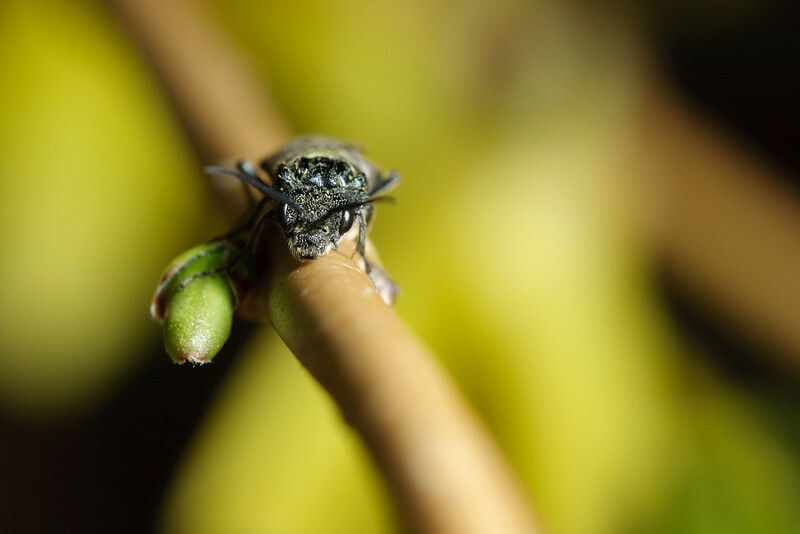 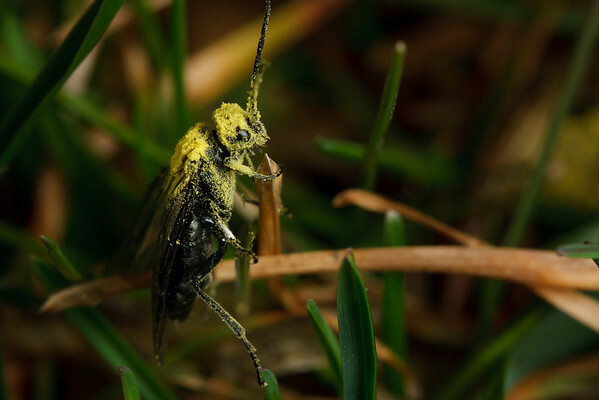 A sawfly (Dolerus) on a forsythia branch. 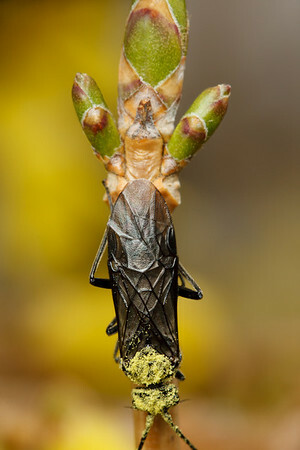 Both appear very early each spring.